The guests have left, the conference rooms are empty and we’ve bid farewell to the beautiful city of Barcelona. Which means we’ve just wrapped up another amazing Danfoss Drives Conference. This year, the biggest drives event on the planet was all about passion, partnerships and pride. From its architecture to its football team, Barcelona itself is a city full of passion. We brought our own brand of passion to the Drives Conference by offering over 100 breakout sessions hosted by more than 50 speakers, and bringing together 500 drives experts for the ultimate networking and knowledge-transfer experience. Highlights included an extensive range of power sessions presented by key communicators in the industry. Very much interactive and covering, for example, hybridization, opportunities with Danfoss motion drives and customized power module solutions, these informative sessions provided the opportunity to explore and learn together with Danfoss and peers in the business. “I’ve heard about the legendary Danfoss Drives Conference, and now I got to experience it for myself. They say knowledge is power, and I must say I am now feeling very powerful!”, Klaus Gissing, Andritz. Successful business relationships are built on long-term partnerships. At Danfoss, we recognize that the customer’s success is our success and we only get there by listening and taking action on what we learn. The Drives Conference gives us the chance to let you know more about us as a company and the products and solutions we offer. But, more importantly, it also allows us to find out more about you – what you need as a business to help you succeed. Working together makes us stronger together. “I’ve been working with Danfoss for more than two decades. The relationship just continues to get stronger and deeper. It’s a real win-win situation”, Igor Zubov, IC-ART. 2018 is a special year for Danfoss – we’re celebrating 50 years in the business. We can look back with pride at the last half a century. But, at this year’s Drives Conference, we showed how we’re focusing on the future. How we’re continually expanding our portfolio to help you maximize performance and energy efficiency, minimize costs and get the highest return on investment. And how we’re taking advantage of trends in automation and connectivity to drive your success by offering the ultimate end-to-end digital experience. “We wouldn’t have been able to achieve such great collaboration around drives without the time you, our customers and partners, have invested in this”, Vesa Laisi, President, Danfoss Drives. I would like to take this opportunity to thank everyone who joined us at the Danfoss Drives Conference 2018. I enjoyed meeting you all. It was a busy, but hopefully rewarding experience for all those involved. Don’t hesitate to put comments in the box below if you have ideas for the next event, or if there is something you want to discuss with us in the meantime. And keep up to date with the latest news on our new global website. Hi and thanks for getting in touch. 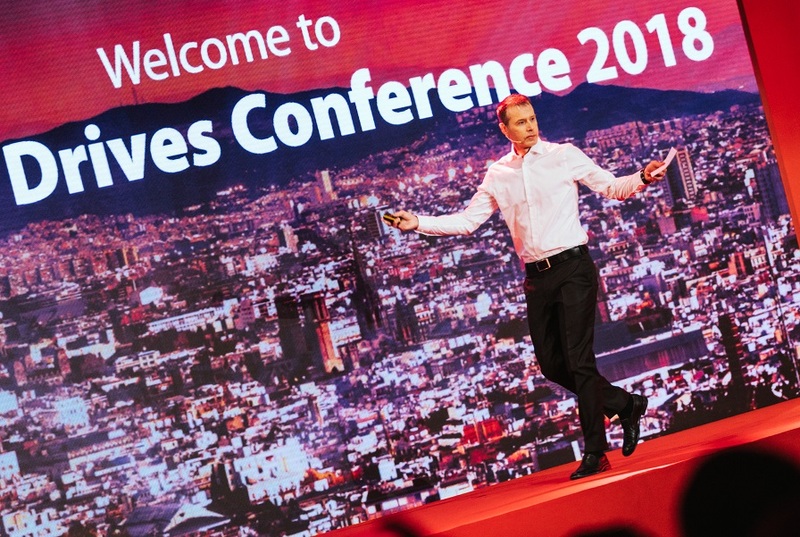 Keep following our channels to find out details about the next Danfoss Drives Conference. Hi and thanks for posting your comment. It’s definitely an idea that we can take into consideration when planning future events. Thanks for your comment – I’m glad you enjoyed the Danfoss Drives Conference. And thanks for the idea. We will take it into consideration when planning future events.